Scripture clearly teaches that our level of spiritual maturity has a direct effect on our life today. The deeper we walk with Christ, the less we are tossed back and forth by the wind and waves of this world. We become stronger. We are stronger for ourselves, our children, our friends, our spouses. This is also the key to peace that surpasses understanding. It is learning to fall deep into the ocean of God's grace and love. 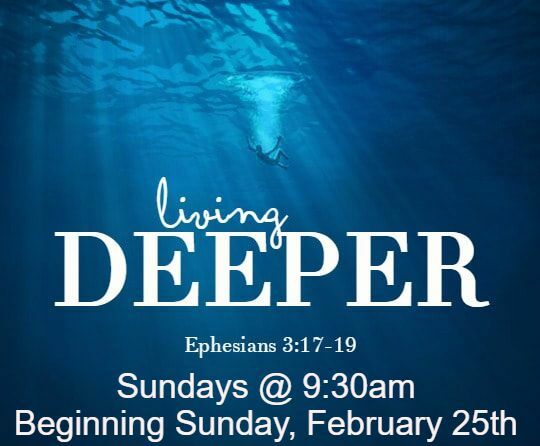 Living Deeper is taught Sunday mornings at 9:30am by Pastor Lee.